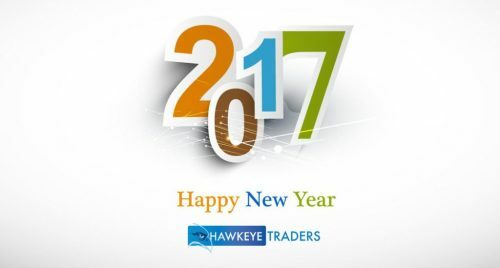 As we begin 2017, the entire Team at Hawkeye Traders wish you and yours all the best for a healthy, prosperous, and bright New Year! The incredible support from you and the rest of our extended Hawkeye family of informed and engaged traders is what makes our work possible and enjoyable. We are deeply grateful! Hawkeye will launch MT4Professional.com very soon… stay tuned! and Lots of new indicators. We want to help you make 2017 the best year ever. Together, we can make concrete strategies from your new year’s resolutions, transforming your ideas into accomplishments! On behalf of everyone at Hawkeye Traders, thank you – and Happy New Year! P.S. Don’t forget to sign up for our live demonstration room held every Wednesday. Open to all.